The Cybex PRIAM offers a complete 3-in-1 travel system to parents. 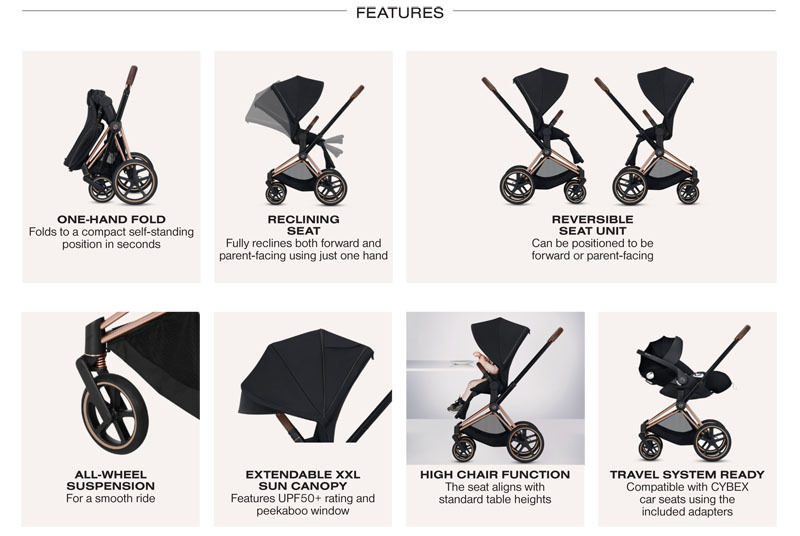 Frame enables three different modes of use: as a travel system with matching carry cot or one of our award-winning Cybex infant car seats, and later as a luxurious parent-facing or forward-facing stroller. The NEW Cybex PRIAM has been redesigned with high-quality materials including leather-look details, premium fabric and finishes. Weight: 28.1 lbs.Use from Birth (with a Priam Carry Cot or Cybex Infant Car Seat) up to 55 lbs.